On January 31, 2014, the Division of Trading and Markets of the Securities and Exchange Commission ("SEC") issued a no-action letter regarding broker-dealer registration requirements for mergers and acquisitions brokers (the "No-Action Letter"). Subject to compliance with the conditions set forth in the No-Action Letter, an "M&A Broker" will not be required to register as a broker-dealer under Section 15(b) of the Securities Exchange Act of 1934 ("Exchange Act") in connection with the sale of a privately-held company regardless of the size of the target company. The No-Action Letter defines an "M&A Broker" as "a person engaged in the business of effecting securities transactions solely in connection with the transfer of ownership and control of a privately-held company through the purchase, sale, exchange, issuance, repurchase, or redemption of, or a business combination involving, securities or assets of the company to a purchaser who will actively operate the company or the business conducted with the assets of the company." It also defines a "privately-held company" as "a company that does not have any class of securities registered, or required to be registered, with the [SEC] under Section 12 of the Exchange Act, or with respect to which the company files, or is required to file, periodic information, documents, or reports under Section 15(d) of the Exchange Act." • The purchaser must ultimately control and actively operate the company upon completion of the transaction. There is a presumption of "control" if the purchaser satisfies the 25 percent threshold. The threshold will be satisfied if the purchaser has the right to vote at least 25 percent of the voting securities, has the power to sell 25 percent or more of the voting securities, or has the right to receive 25 percent of the capital upon dissolution. The No-Action Letter represents the SEC’s current position that it will not recommend enforcement of broker-dealer registration requirements for an M&A Broker, so long as the conditions described above are adhered to. The No-Action Letter has removed a number of prior blanket restrictions and the new landscape should prove more navigable for M&A Brokers. According to the SEC staff’s interpretation of Section 15 of the Exchange Act, an M&A Broker may now participate more fully in transaction negotiations, advise the parties as to the valuation of any securities transferred, and receive transaction-based compensation, all without registering as a broker-dealer. The No-Action Letter is not the only recent development in the M&A Broker arena. On January 14, 2014, the U.S. House of Representatives passed H.R. 2274, which provides an exemption for an M&A Broker from broker-dealer registration under Section 15 of the Exchange Act. In addition, on the same day as the House of Representatives passed H.R. 2274, the U.S. Senate introduced S. 1923, a virtually identical bill to H.R. 2274. Both bills provide an exemption to broker-dealer registration for an M&A Broker unless the M&A Broker has custody or control of any funds or securities to be exchanged in the transaction or the transaction involves a public offering, in which case the M&A Broker would still be required to register as a broker-dealer under the Exchange Act. It is not clear yet what effect the No-Action Letter will have on those bills. These recent developments in the M&A Broker arena are welcome, but they should not be construed as determinative or legally binding. An SEC no-action letter is merely guidance for those who are obligated to abide by federal securities laws, and the SEC can change its position on an issue that is subject to a prior no-action letter. Federal courts have even noted that the deference generally provided to federal agency positions does not apply to no-action letters. Furthermore, the No-Action Letter is not applicable to the various state securities laws. 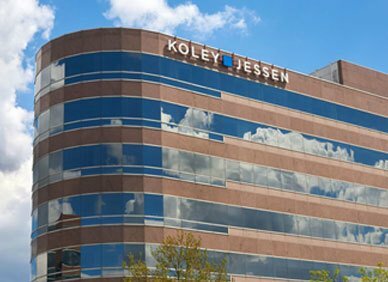 If you have any questions or wish to discuss best practices to employ, or to discuss compliance with the broker-dealer registration, please contact a member of the Koley Jessen M&A/Securities Practice Group.